​"They saved the really big hits for the final half hour – 'Daydream Believer,' 'Pleasant Valley Sunday,' 'Last Train to Clarksville.' 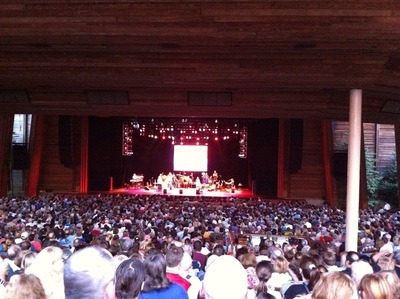 But nobody in the audience left or got restless. 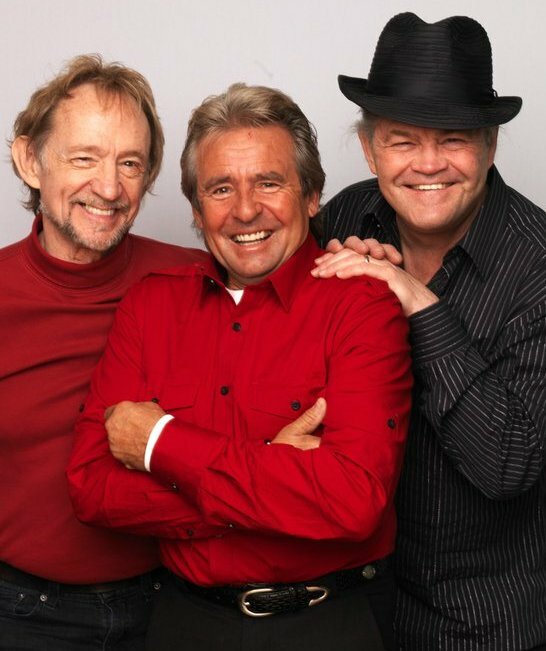 People tend to become Monkees fans when they're little kids, so they adopt weird personal favorites, which means nobody wanted a straightforward greatest-hits show. 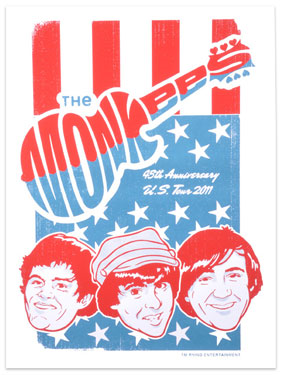 And The Monkees left nothing out. It's hard to imagine anybody disappointed by this show unless they just plain hate life." ​The Monkees’ 45th Anniversary Reunion Tour found Micky Dolenz, Davy Jones, and Peter Tork touring together for the first time in a decade. 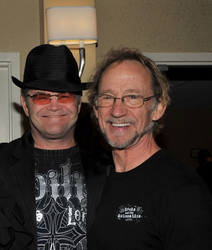 After a less than friendly ending to their 2001 tour that saw Tork leave early (and no complete joint appearances during the intervening years), some wondered whether The Monkees would ever work together again. 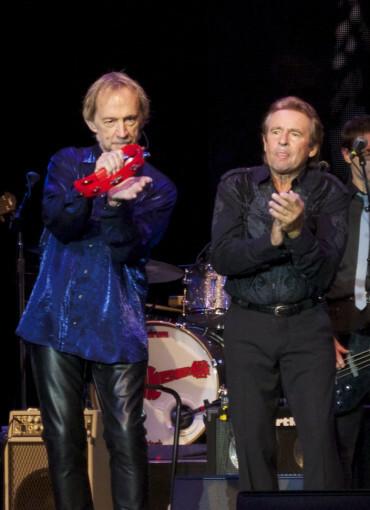 In an interview with Rolling Stone in March 2011, Peter took full responsibility for the fractious conclusion of the last Monkees tour. "We were getting along pretty well until I had a meltdown. I ticked the other guys off good and proper and it was a serious mistake on my part. I was not in charge of myself to the best of my ability – the way I hope I have become since. I really just behaved inappropriately, honestly. I apologized to them." 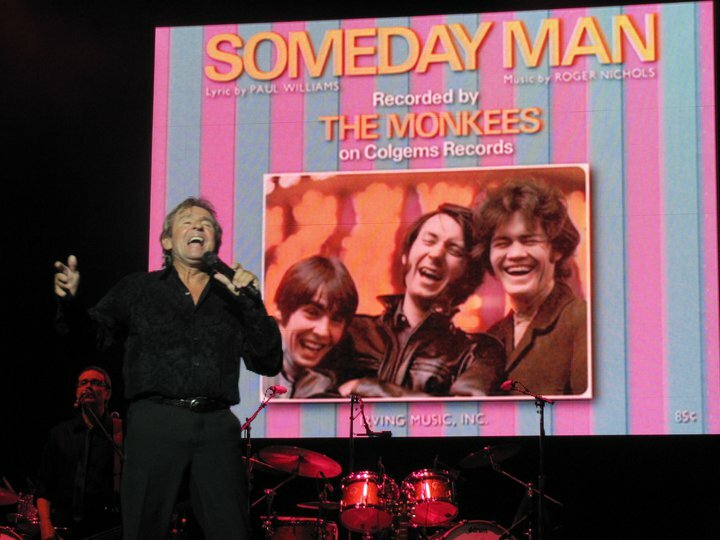 Monkees archivist Andrew Sandoval had been working for several years before the 2011 tour in an attempt to get the band to return to the concert stage. However, as late as 2010, Davy had expressed in various interviews that he had no interest in working with The Monkees again. 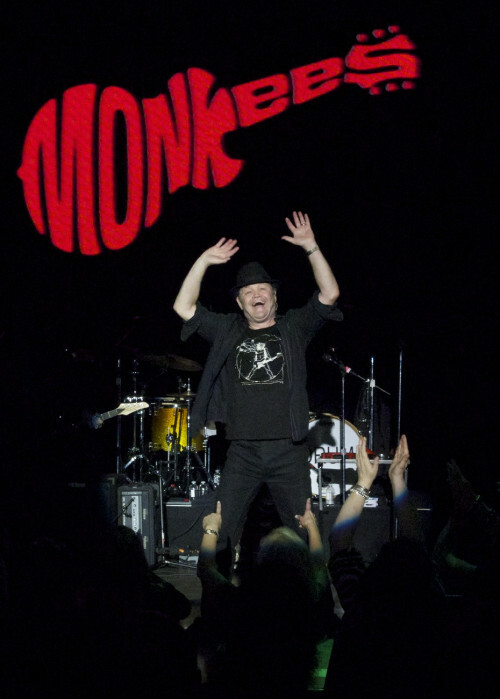 Author Eric Lefcowitz, in his book Monkee Business, reported that The Monkees had been approached by prestigious Azoff Music Management in 2010 with a plan that included an extensive tour that year with stops at the Hollywood Bowl and England’s Glastonbury Music Festival. 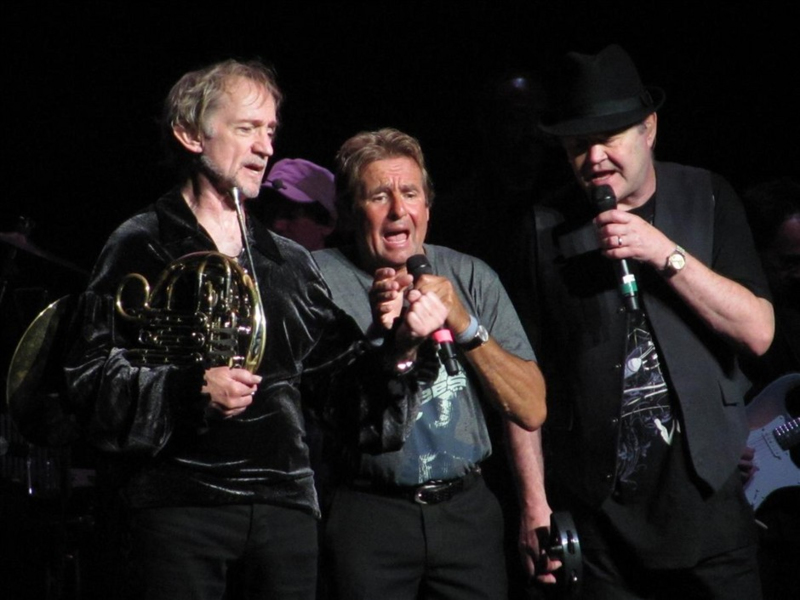 Despite the backing of Dolenz and Tork, Jones refused the offer. 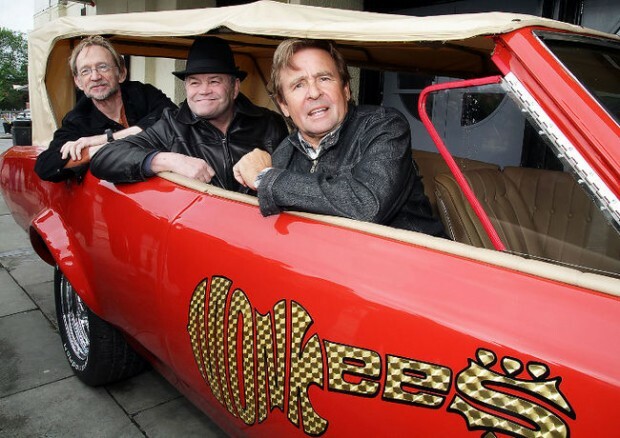 It came as somewhat of a surprise when it was announced in March 2011 that The Monkees would return to celebrate the band’s 45th Anniversary. 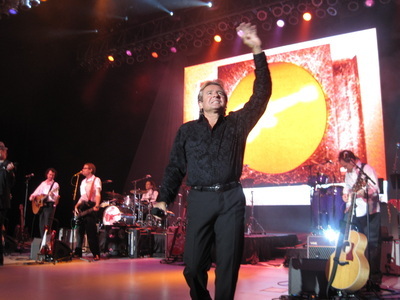 Despite stories of tension and offers refused, Sandoval succeeded in reuniting the group and Azoff Management subsequently booked a 10-date tour of the United Kingdom while scheduling nearly 40 dates in North America. "It was the estimation of certain professional people that this could work," Tork told Rolling Stone. 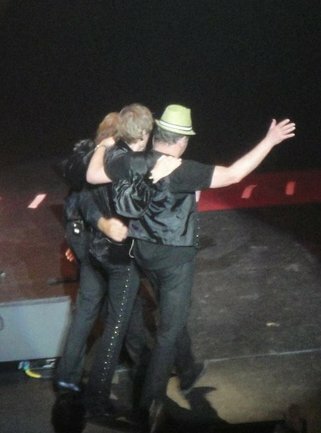 "They asked if the three of us were interested in doing it. After some discussion we all said 'yeah.' That's just about the bottom line of it." Peter informed Rolling Stone that all personal issues had been resolved and that a wide variety of songs were being reviewed for potential inclusion in the set list. 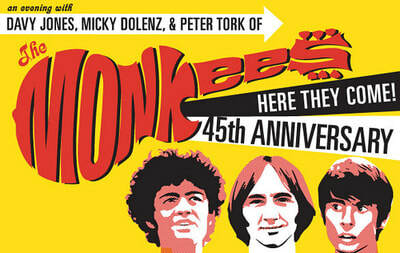 "We're going to do all the Monkee hits," Tork said. 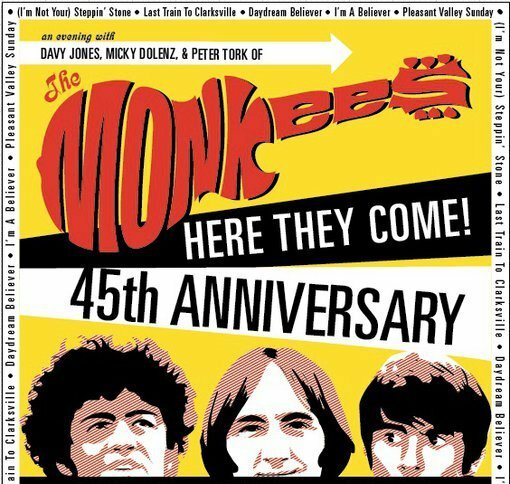 "Starting with the five major ones: The two believers ['Daydream Believer' and 'I'm a Believer'], 'Last Train to Clarksville,' 'Pleasant Valley Sunday,' and 'Steppin' Stone.' 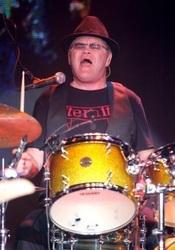 Then we'll do the top twenties and the top hundreds and then the obscure ones." 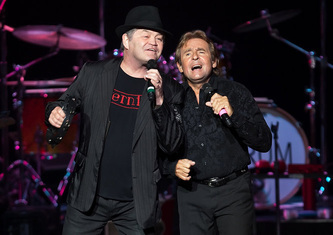 Peter also relayed to Rolling Stone that the group was digging deep into their back catalog, and he expressed a desire to revive the a cappella song "Riu Chiu," plus "As We Go Along" and "Porpoise Song" from the Head soundtrack. 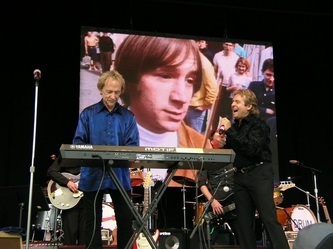 Michael Nesmith, who had last performed with The Monkees in the United Kingdom in 1997, was not asked specifically to go on the 2011 tour, but he was kept up-to-date on the plans should he have had the wish to be involved at any point. "Michael’s always welcome," Peter told Rolling Stone. "I last saw him at the end of the 1997 British tour. 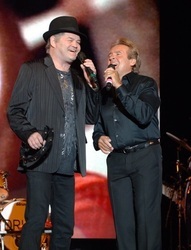 I haven't talked to him in all that time." "He's always been invited," Micky said. 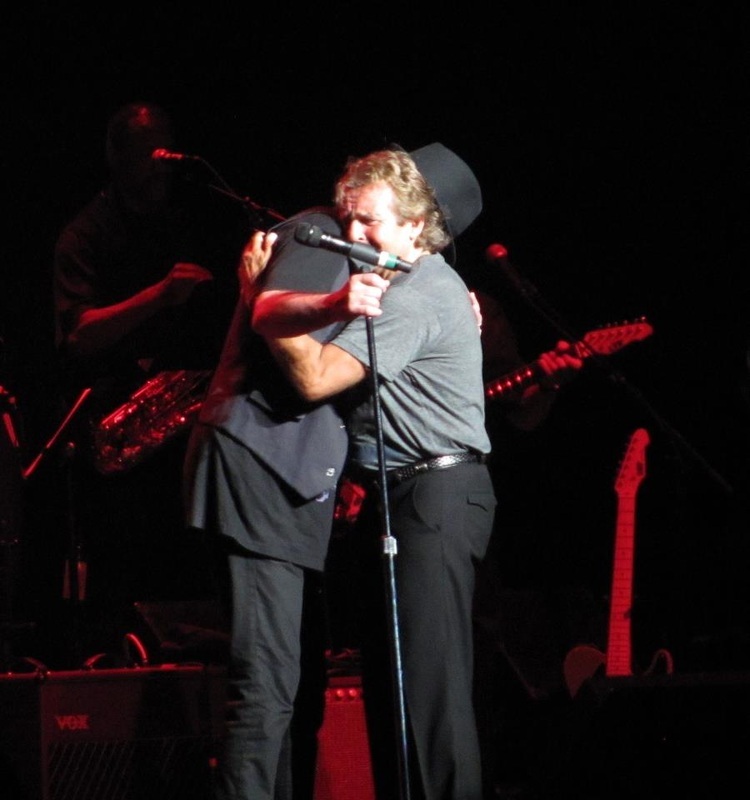 "He's always welcome, as far as I'm concerned, and I can only speak for myself. 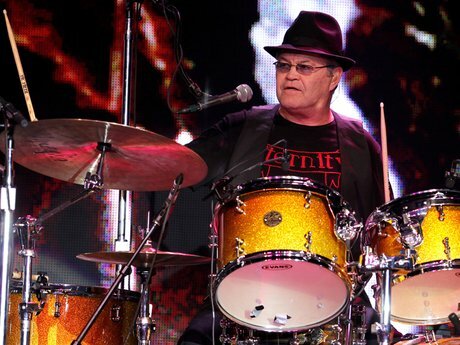 I didn't speak to him personally, (but) I know that he was contacted." 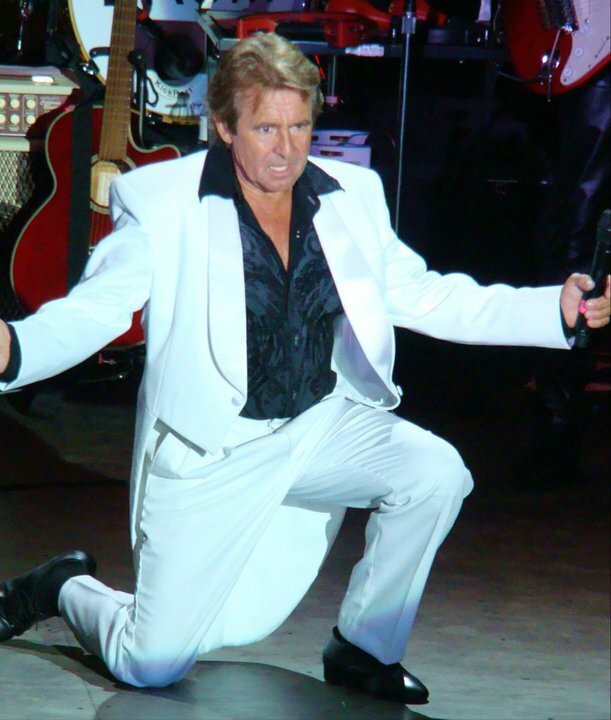 And though Michael had appeared onstage twice in the 1980s, once in Los Angeles in late 1996, and then in the UK in 1997, he did not make an appearance at any of the 45th Anniversary concerts. 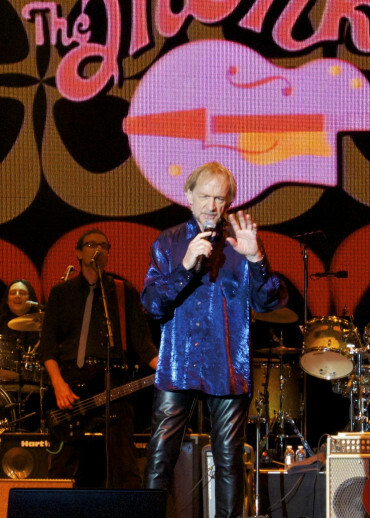 Asked before the tour started if Nez would surface, Tork told Rolling Stone, "It's possible. I'd be game for it." (In separate interviews, Jones was less enthusiastic.) 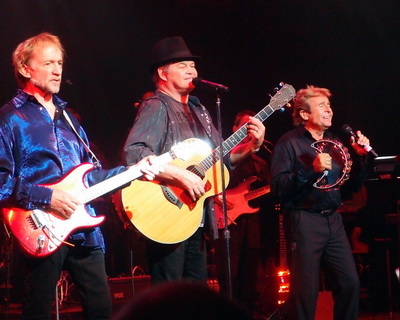 Michael did eventually agree to appear with The Monkees during the tour, but then there was no consensus from the other members to allow him to be a part of a performance. In early May Micky, Davy, and Peter convened in Orlando, Florida with their backing band to begin rehearsals. 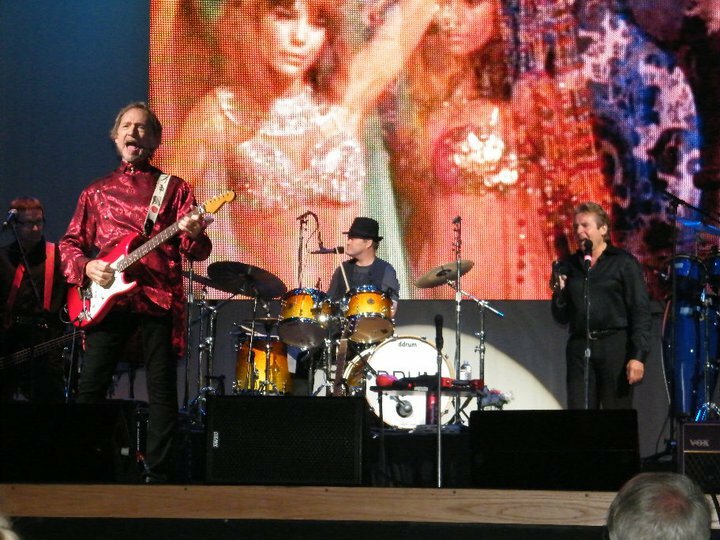 A press release promised a "full multimedia experience" in a show that was being dubbed An Evening with The Monkees – The 45th Anniversary Tour. The tour's Facebook page asked fans to suggest songs for the show’s set list, and a Twitter account kept fans up to date on how rehearsals were progressing while tipping off set list surprises. Peter revealed to Rolling Stone that the group would perform in front of a large high definition screen. "Sometimes we'll make it look like the backdrop of the apartment [from The Monkees' TV series]," Peter said. "Sometimes we'll just be out on the wild and windy plain, singing 'I Wanna Be Free' to the wind. The whole thing is about moods and trips." 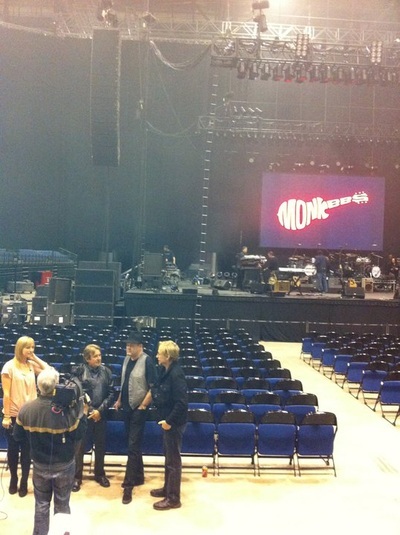 The tour opened in Liverpool, England at Echo Arena on May 12 as a two-set program featuring an intermission. 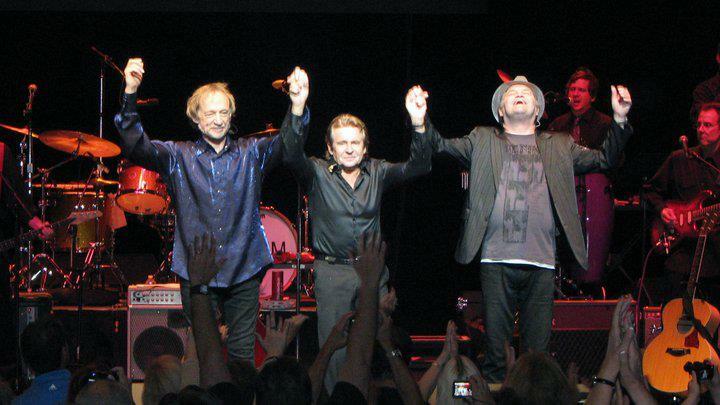 (The intermission was dropped and the set list rearranged early during the North American tour.) 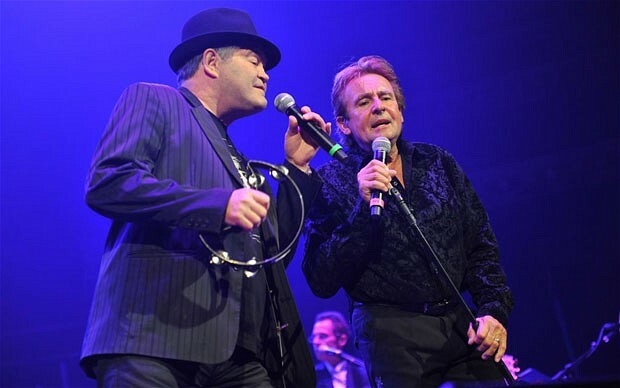 Micky and Peter appeared on Later with Jools Holland on May 20 to promote the UK shows while also delivering a soulful version of "I'm a Believer." 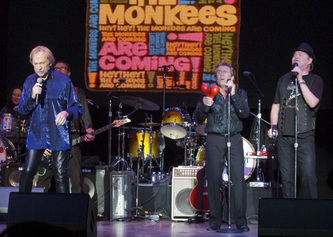 As promised, the concert featured elements never before utilized during previous Monkees tours. A large video wall behind the band showcased video montages produced by Rachel Lichtman. 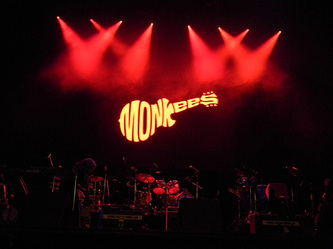 The footage (from the group's series, their 1968 movie Head, the 1969 TV special 33 1/3 Revolutions Per Monkee, 1960s concerts, as well as album covers, picture sleeves, magazines, and candid shots of the band) was recut and created specifically for the tour. For some songs (“Saturday’s Child” and “Last Train to Clarksville” in particular), the video footage for the song matched "romps" as originally seen on The Monkees. 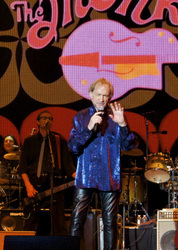 "It was really cool and wonderfully edited," Micky said of the presentation. "It was great seeing some of that footage. I hadn't even seen some of it. 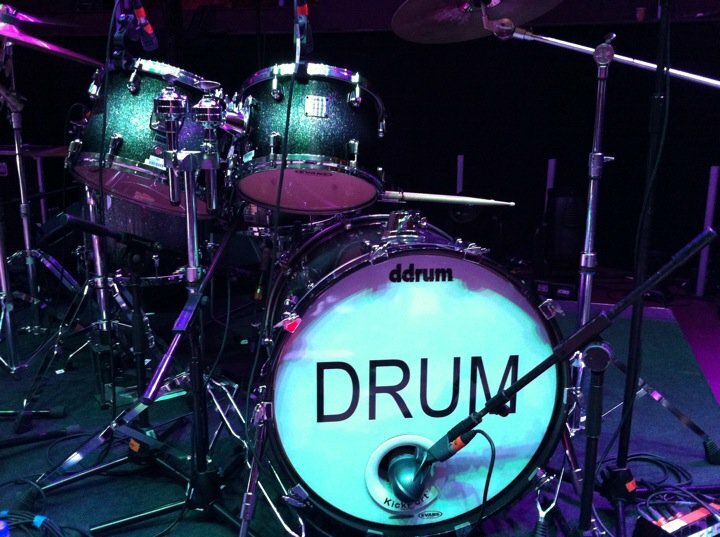 I kept turning around in the middle of a show and going, 'Whoa, that's cool.'" 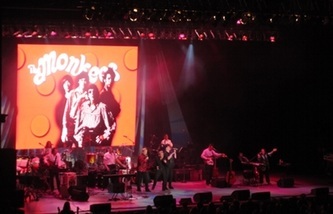 Before the group took the stage, music videos and a collection of vintage Monkees commercials for various products like Kellogg's aired on the screen. 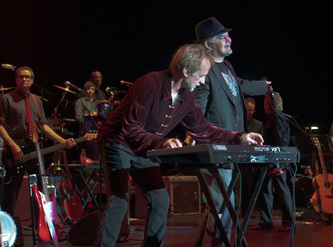 In addition, every evening featured pre- and post-show music programmed by the tour's producer, Andrew Sandoval. Selections included cover versions of Monkees songs by other artists, solo efforts, and Dolenz, Jones, Boyce & Hart material. 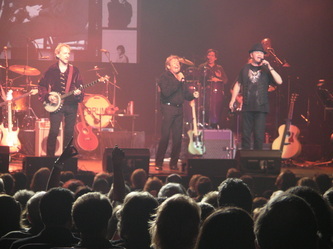 On most nights, the show lasted over two hours and featured nearly 40 songs. 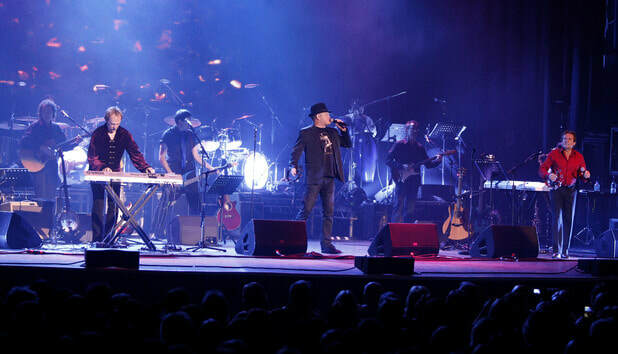 ​The set list was large and expansive, anchored in the middle by a Head mini-suite that featured all six full-length songs from the original soundtrack, matched with the accompanying footage from the movie. (In 2010, Head was released as part of the Criterion Collection in the America Lost and Found: The BBS Story box set. Rhino Handmade also released a three disc deluxe edition box set of the soundtrack to coincide with the film’s re-release.) 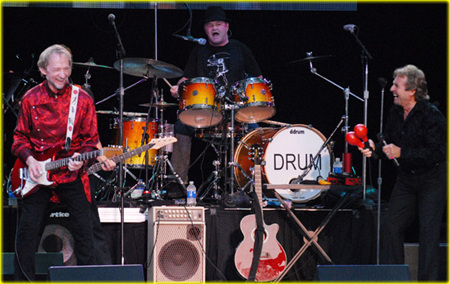 Adding to the freshness of the show were three songs never before played live: "All of Your Toys," "I Don’t Think You Know Me," and "Saturday’s Child." 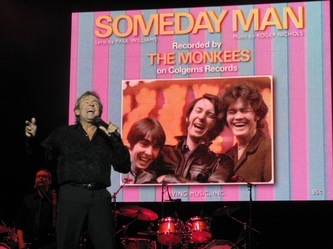 Another lost Monkees classic, "Someday Man," hadn’t been performed in concert since 1969. Fans were very receptive to the set list and critics noted that the tour was not just a "greatest hits" revue. 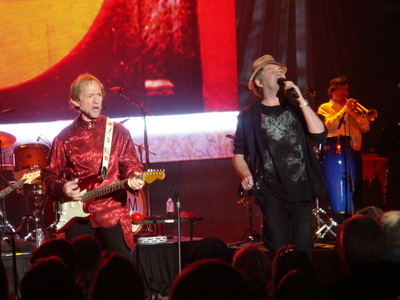 To follow the Evening with The Monkees theme, many songs were introduced with different stories about its recording or how it attained its title (Tork noted for the first time that his song, "For Pete’s Sake," was given its namesake by Michael Nesmith), or general experiences about being in The Monkees. 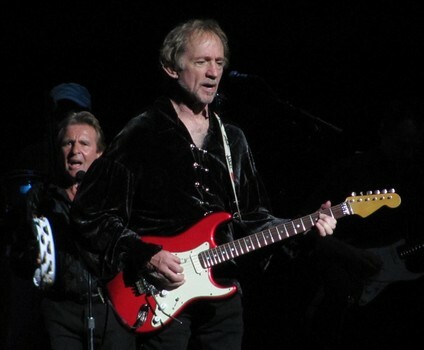 During the early part of the North American tour, Peter started to introduce "All of Your Toys" with some subtle criticism of The Monkees’ continued snub by the Rock and Roll Hall of Fame. "We fought for and won the right to make our own records," Tork would tell audiences, "which is more than we can say about some members of the Rock and Roll Hall of Fame." Despite the television show not airing in syndication in the United States or in the United Kingdom (though it was airing on weekends in the United States on cable-based Antenna TV), and without any major promotion, the tour was met with packed houses and enthusiastic crowds. "This tour has been absolutely incredible," Dolenz told the Buffalo Business First newspaper. 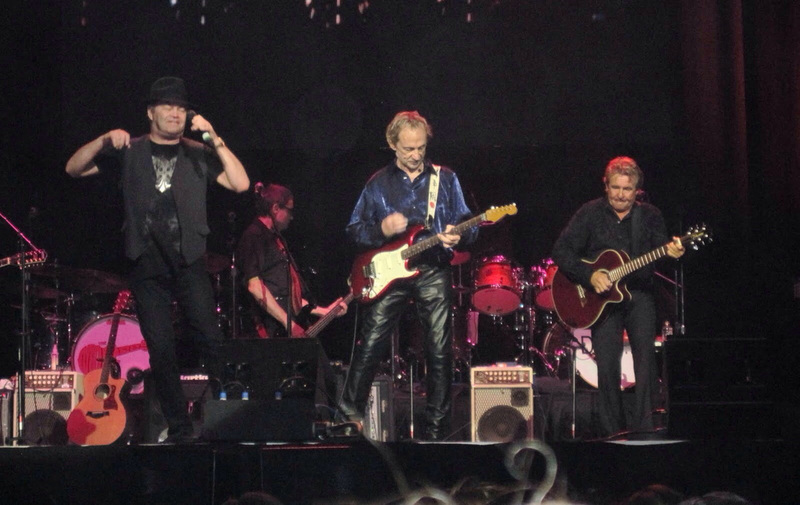 "The crowds have been amazing, probably some of the best we've ever played before." 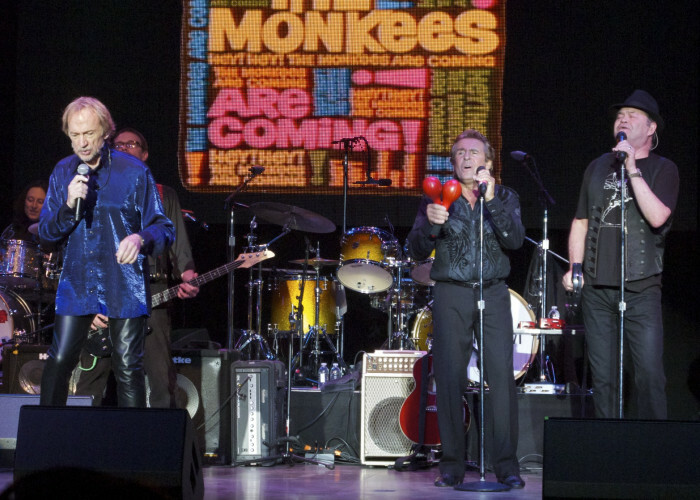 Reviews were overwhelmingly positive, with longtime Monkees detractor Rolling Stone giving the band’s stop in New York City a glowing review. "It's hard to imagine anybody disappointed by this show unless they just plain hate life," wrote Rob Sheffield. The UK portion of the tour was highlighted by a sold out performance at the Royal Albert Hall in London. 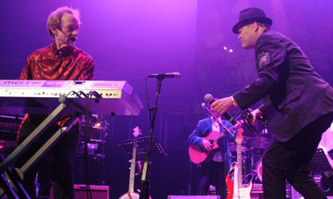 When reviewing the concert in Liverpool on opening night, the Liverpool Echo was upbeat. "They chose to perform against a screen showing clips from their TV show - they may be older now but the energy and enthusiasm they put into the show meant the comparison was not an unkind one." ​After the 2011 tour, producer Andrew Sandoval praised the show and the band's decision to reunite once again. 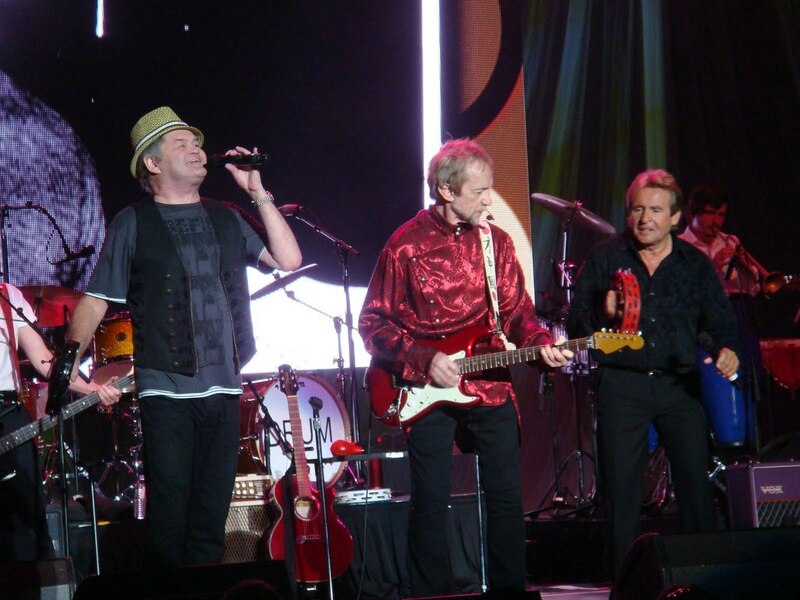 "Their mixed feelings on the music business and their long and winding relationship weighed heavily, but once they hit the stage, the old magic was apparent. 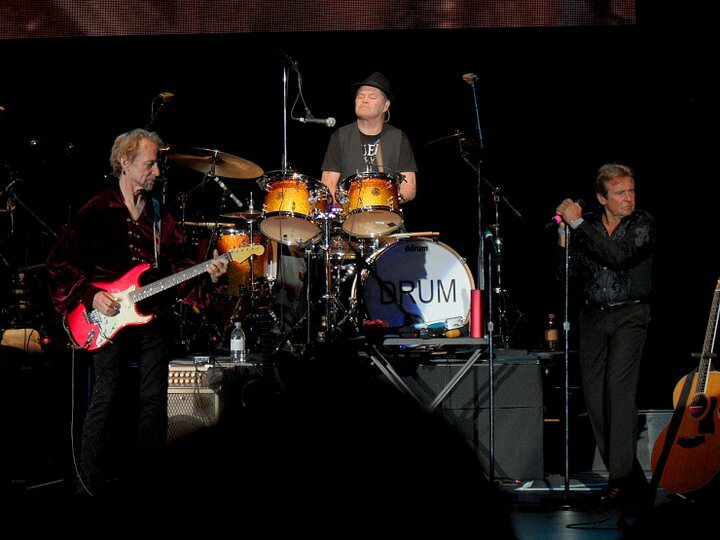 For the next three months we lived in buses and hotels, bringing the music and memories to fans in the band's grandest stage show in decades." 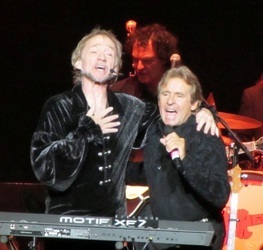 But fans were later disappointed that the tour was not recorded for posterity (especially after Davy's passing in early 2012). Micky later explained that the elements of the show itself prevented it from being filmed. 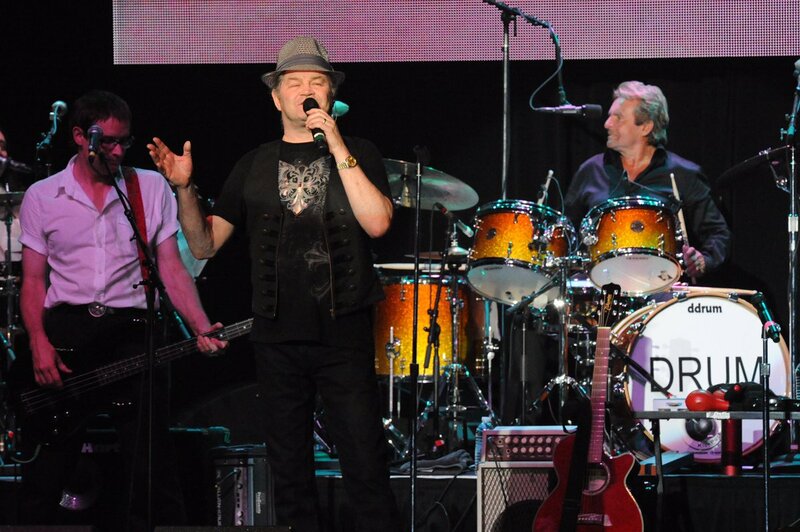 "We never officially recorded the show. That doesn't bother me, really. You don't record musicals either. And the reason is that you want people to come and see the show, but also, especially theatrical productions, they never look good when you try to film or tape them. You can't just capture the three-dimensionality of a space. It's like shooting the front of a house." There was no shortage of fan-filmed footage on YouTube, however, and fans who were unable to attend a show could easily follow and watch the tour online. The Monkees were very involved instrumentally during the tour. 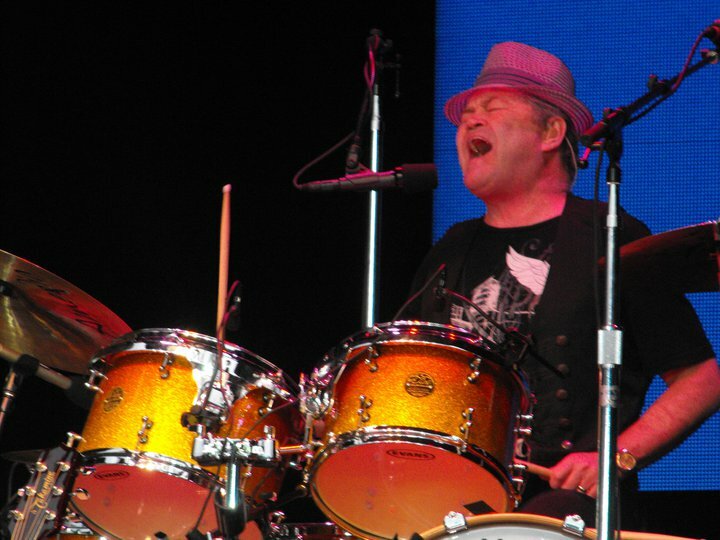 Micky played the drums on many of the songs and occasionally played guitar. 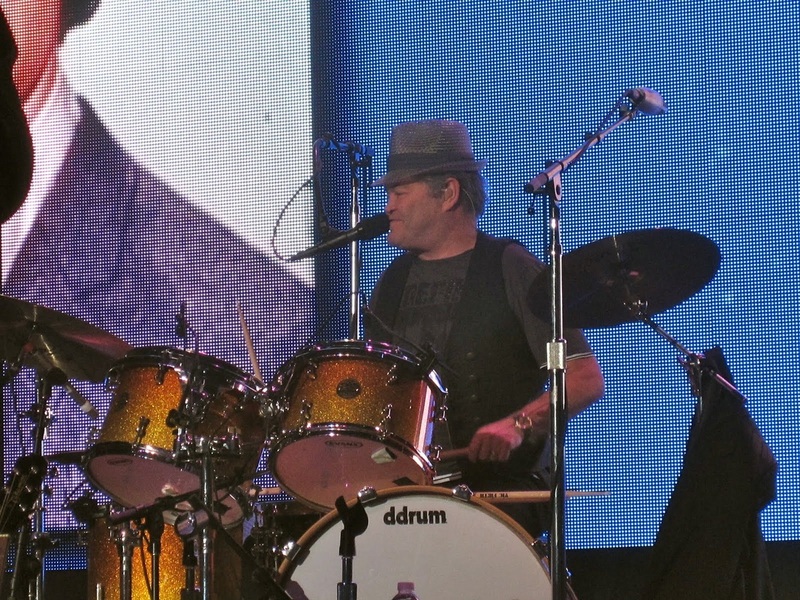 Peter switched back and forth between keyboards, guitar, banjo, percussion, and even the French horn (on "Shades of Gray"). 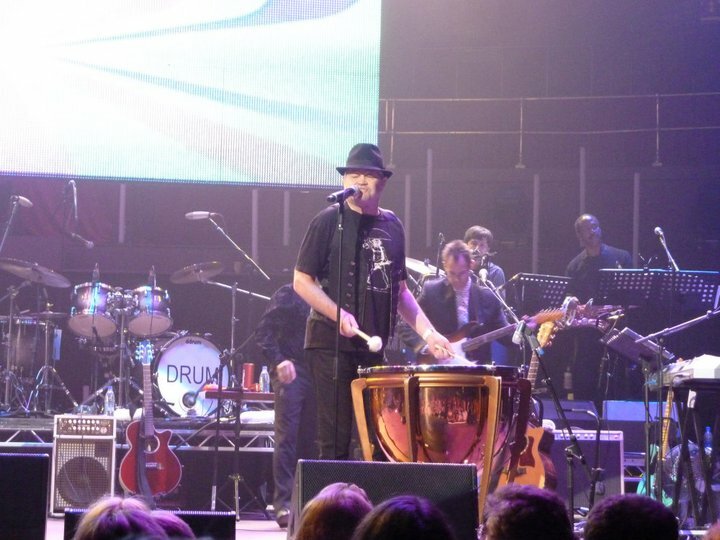 Davy played his traditional percussion parts and the guitar on occasion, while taking a turn behind the drums during "Sometime in the Morning." The backing band consisted of musicians from previous Monkees tours, including Wayne Avers (guitar), Jimmy Riccitelli (keyboards), Eric Biondo (trumpet), and Aviva Maloney (reeds, flute). New additions to the band included Arnold Jacks (sax, who is also a member of Peter’s group, Shoe Suede Blues), as well as longtime members of Davy’s touring band: Johnny J. Blair (bass), Dave Robicheau (rhythm guitar), and Felipe Torres (drums). 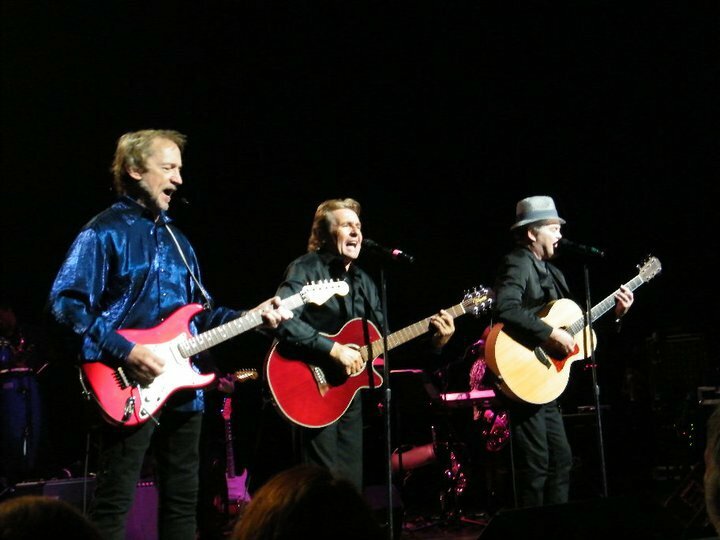 Extra dates began to be added by management to the original itinerary as early as June, with tickets going on sale in thirteen more North American cities. However, the band was contractually obligated only through the tour's finish on July 23 at Marcus Amphitheatre in Milwaukee, Wisconsin. 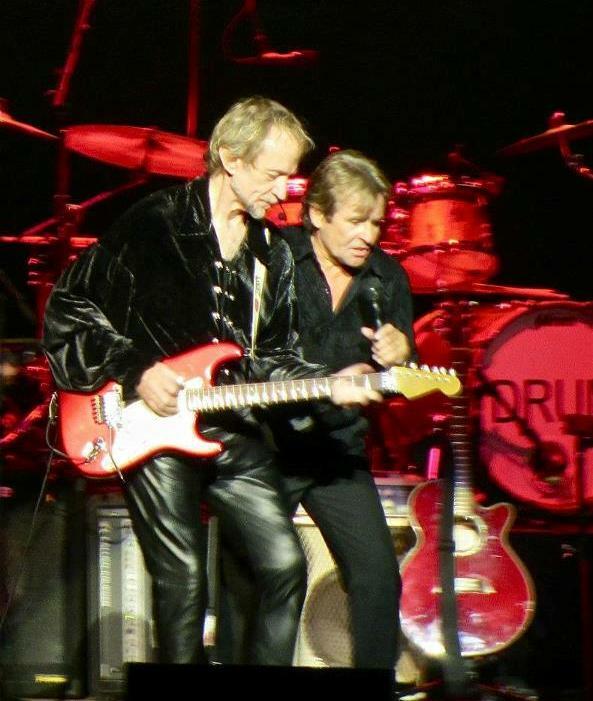 Fans were surprised when on August 8 it was announced that the additional dates added for late August and September had been canceled. Posting on his Facebook page, Micky said, "I can say that the reasons pertain to business and are internal matters. 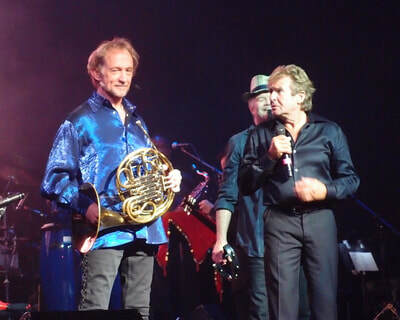 Needless to say, I am disappointed but the situation was unavoidable and I want to apologize to all the fans out there who will not be able to experience what was a wonderful show indeed." Peter posted similar sentiments on his Facebook page. 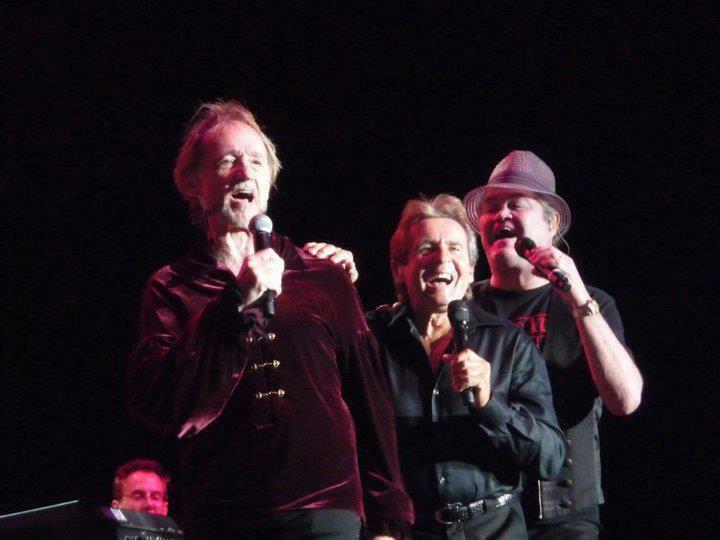 ​As the year 2011 came to a close, Peter told Rolling Stone that the chances of more Monkees concerts were high and that the band's internal relations were strong, but the outside business issues had to be worked out in private before any new plans could be discussed. "We did it all right. 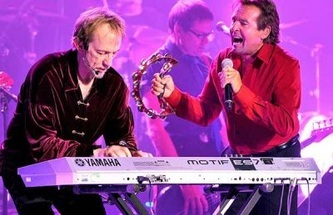 We had a good time on stage, laughed and created jokes," Peter said. 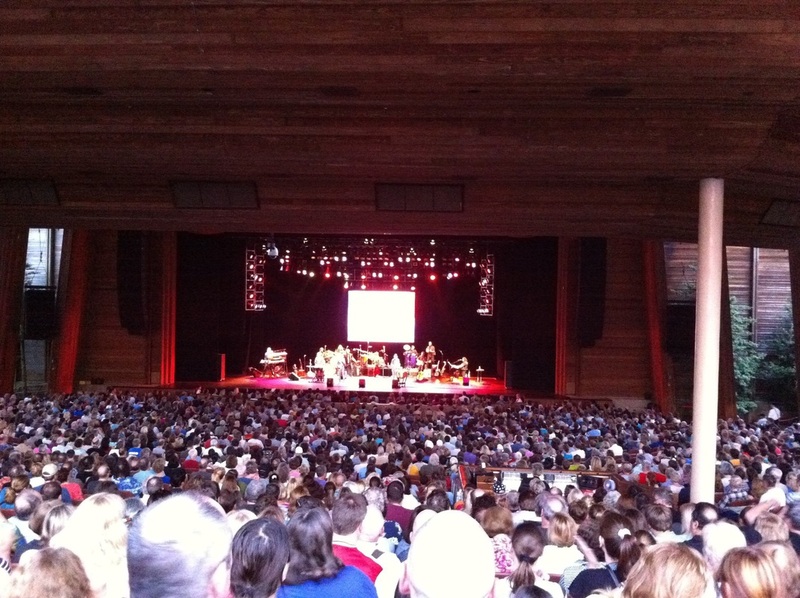 "I'd say that the odds of another Threekees tour are better than 50/50." 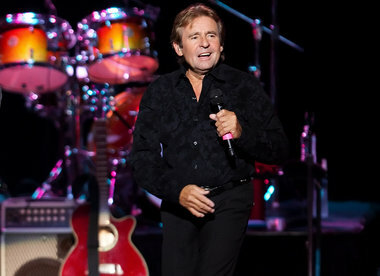 Sadly, Davy Jones passed away suddenly on February 29, 2012 from a heart attack. 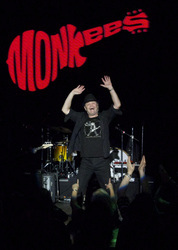 Davy saluted his bandmates when reflecting about The Monkees' triumphant 45th Anniversary tour in an interview with music journal Goldmine in October 2011. 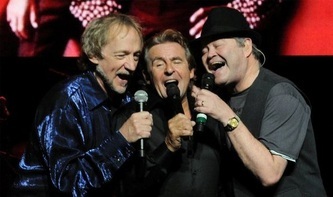 "Without Micky and Peter this show would not have been possible. 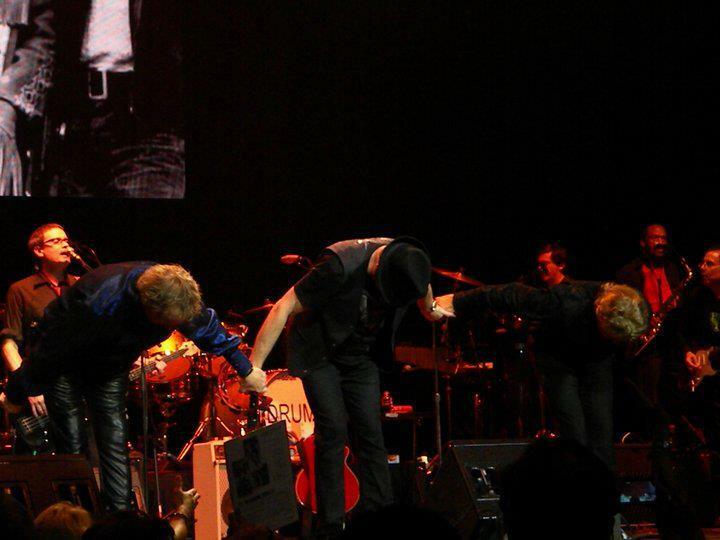 I adore and have tremendous respect for them." 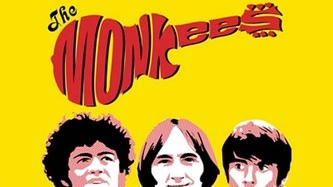 "So these Monkees . 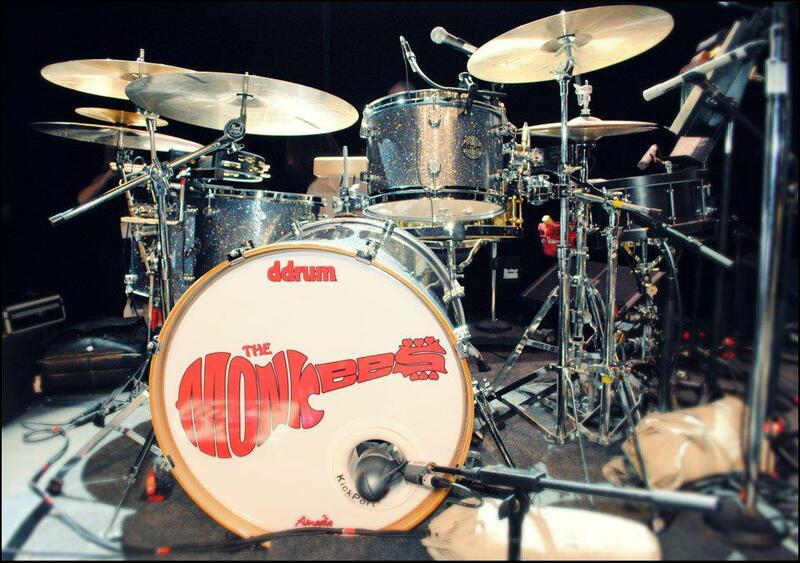 . . are they relevant? Oh, absolutely. More than ever. Given their unique evolution, there's much to learn from them regarding image, presentation, promotion and talent. 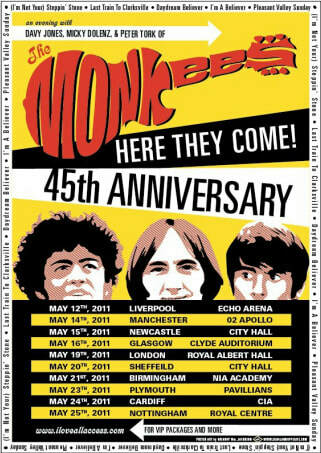 But beyond that, how many relationships last 45 minutes, let alone 45 years? Sure, what we lucky participants enjoyed verged on pop perfection . . . and could be knocked for being too slickly-produced -- but amidst the harsher entertainments of a world in many ways gone terminally cynical, these peace-loving, do-gooder, happy-go-lucky heroes really are at the top of their game. And they've still got something to say." much, much, much more than they had to."